Singer, pianist, and performer who became a member of The Wiggles, an Australian children's music group, in 2009. He began taking piano lessons when he was just four years old. When he was twelve, he started training as a singer. He played the role of Captain Feathersword and Wags the Dog in children's performance tours with The Wiggles. He was born in Brisbane, Queensland, Australia, and studied musical theater at the Western Australian Academy of Performing Arts. He was married to fellow Wiggles member Emma Watkins from April of 2016 to August 2018. 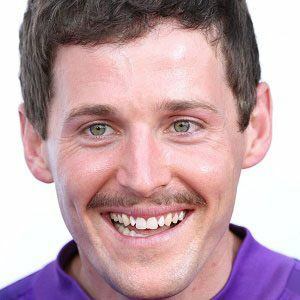 In 2012, Gillespie replaced original Wiggles member, Jeff Fatt, in the role of the Purple Wiggle.